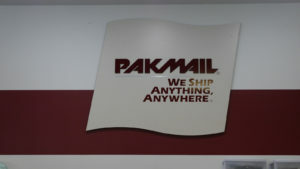 Pak Mail provides a wide range of industrial, residential, and small business freight solutions. We can plan and manage ongoing freight logistics needs for your business or complete a one-time shipment that is too large, awkward, fragile, or difficult for other carriers to handle. When you need to ship an item that is very large or very heavy ? or both, you need less than truckload freight (LTL). We?ve got access to all the best trucking companies to make that happen for you. Our relationships with these freight companies mean your less than truckload shipping happens flawlessly. Ship crates, fixtures, equipment and product without the need to start your own fleet. We?re helping an increasing number of large commercial clients by helping them to outsource freight and logistics services. We?re also here when you need a contingency for a trucking shortfall. Growing companies rely on us both to help make the transition to their own trucks, or just handle everything for them. Whether you?re looking to ship crates, need palletized shipping, or an entire truck,?get shipping estimates ahead of time using our estimated shipping calculator. We specialize in both domestic and international shipping solutions.